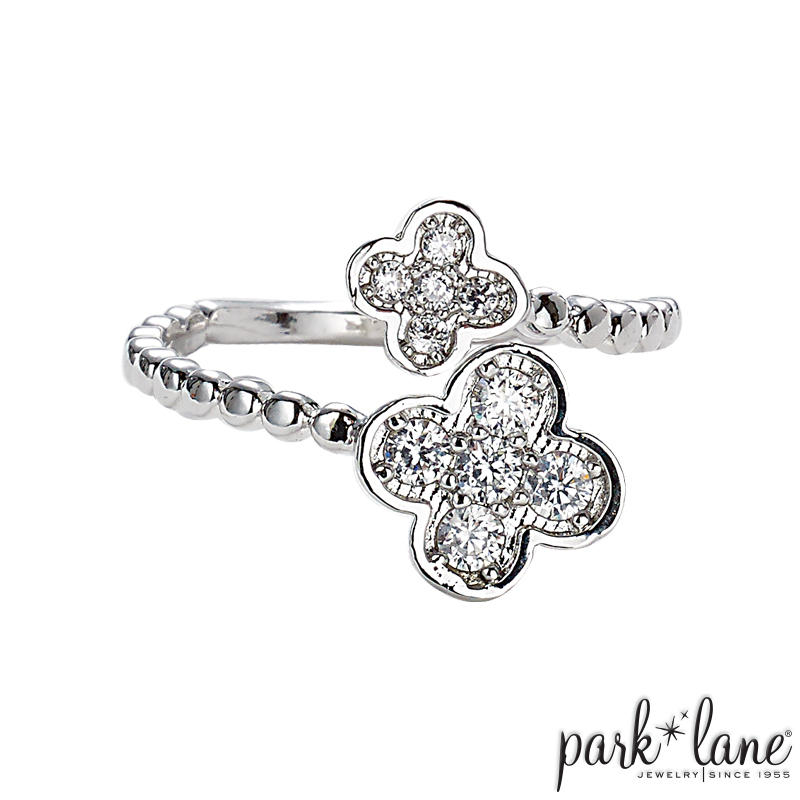 A duo of crystal-encrusted petite quatrefoils adorn this sparkling silver ring. A great choice for a thumb-ring. Austrian crystals. Sizes 4-8.